SILICON VILLAGE: How Rap Music Is Helping 5 Time Congress MLA Krishna Byre Gowda Talk To First Time Voters? How Rap Music Is Helping 5 Time Congress MLA Krishna Byre Gowda Talk To First Time Voters? The coming election will see over 30 lakh first time voters casting their vote. And it's becoming extremely important for the mainstream parties to appeal to them. 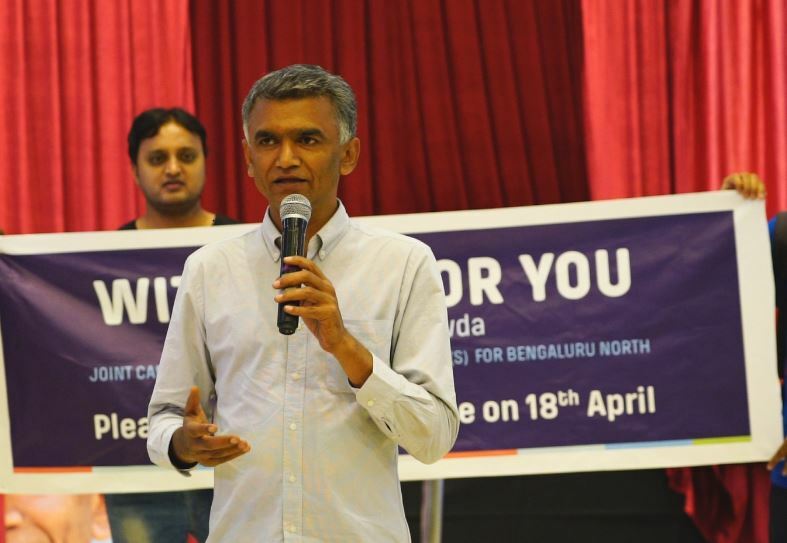 Krishna Byre Gowda, or KBG as he is known, the joint Congress and JD(S) candidate for Bengaluru North Parliamentary Constituency, has a secret weapon on his side. The Elements Mall on Bengaluru city was witness to folk rap performance by young musicians appealed to young voters to vote carefully, vote with a conscience and to vote for a future free of hate and violence. The performers also took up KBG's campaign promise “With You For You” and detailed - in rap - why he was their candidate of choice. The lines from the song —"Ishtu varshavadaru innu unemployment, sullu matugaligella agabedi silent/Agadidre kelsa bejaragi koorabeka navu prati divasa?" (Unemployment exists even after these many years/Don't be silent listening to falsities/Should we sit jobless everyday?) seem to resonate a sentiment that is shared by many.